The Cwmbran Life Facebook page has given my WordPress blog a new lease of life and helped me pick up some quirky stories. 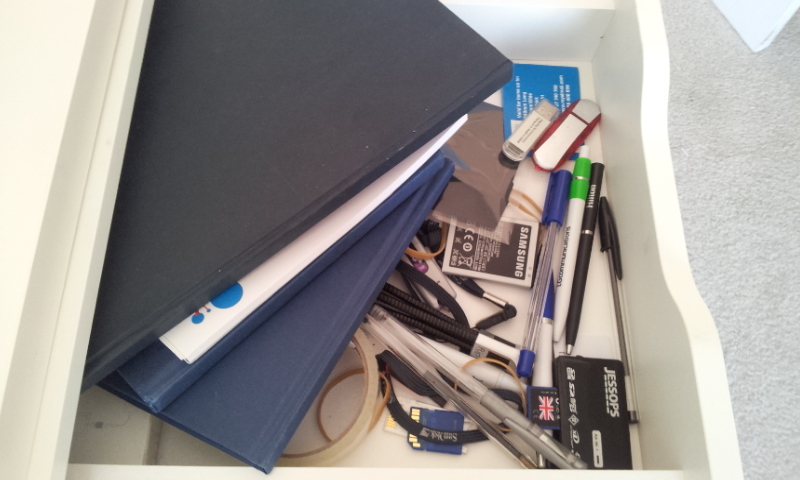 The Cwmbran Life blog was set up in August 2011 but I only set up a Facebook page in January. Forget the stories you read about Facebook use declining. Statistics are meaningless when you can see results (also called red Facebook notifications), in front of your eyes. It’s helped me think differently about content as a hyperlocal blogger. I love using WordPress but on times the short and snappy updates I want to share seem a bit out of place. You get to try writing in a different tone of voice on Facebook and be human. I’m friendly and informal and sometimes a WordPress post left me feeling a bit removed from the quirky stories I was picking up. Mark Schaefer said at yesterday’s OiConf event in Cardiff that content has to “meaningful, targeted and authentic”. Facebook has really made me feel like I’m helping people. Everything I post is about the town so it’s definitely targeted and as for authentic well if I was brave enough to have a tattoo it would feature the word Cwmbran. 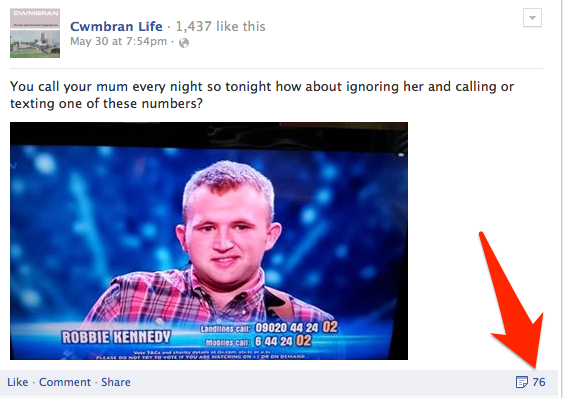 Robbie Kennedy appeared on Britain’s Got Talent and this simple photo and caption got shared 76 times. He didn’t win it but certainly hit the spot with a lot of people helping to share the fact the town was so proud of him. Any videos I’ve done have had to be uploaded to YouTube and then embedded in post. This is fine but sometimes you get a spark of an idea that you just want to share quickly. I was walking around Cwmbran Boating Lake and remembered how as a kid I used to jump over the channel between the small ponds. I thought ‘can I do it as a 36 year-old?’. The answer was yes and click here to watch the death defying leap 🙂. 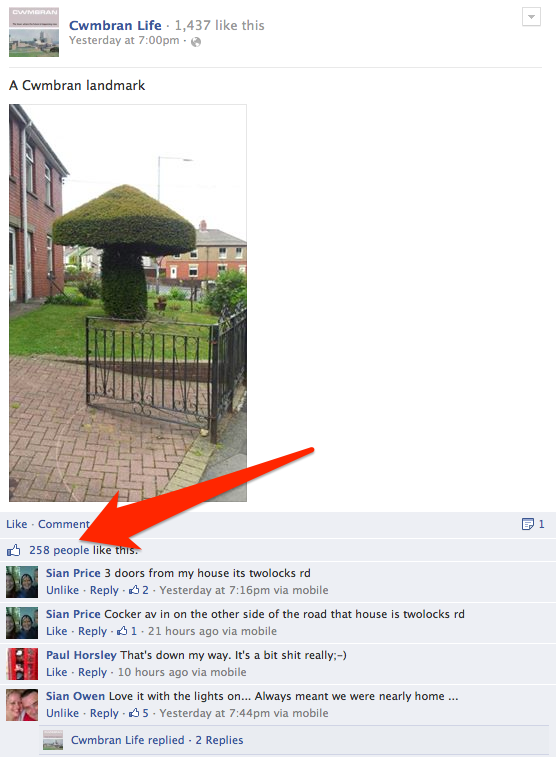 This went a bit crazy and got 762 likes and a reach of just under 40,000. 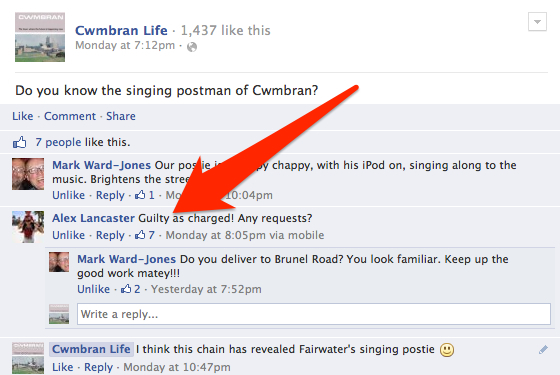 This question posted on Facebook helped me track down my singing postman. There can’t be too many of them in Cwmbran and judging by the comments other people like to hear him as well. I now need to persuade him to be interviewed. For as long as I can remember this has been known as the ‘mushroom house’. A few days ago I grabbed this quick photo that led to loads of comments and over 250 likes. Next plan is to interview the person who trims it. 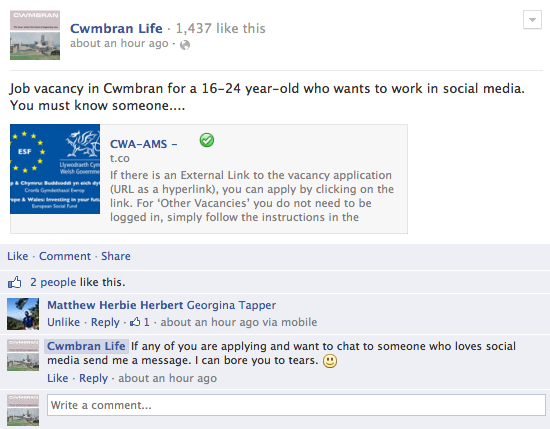 This quirky job in Cwmbran has come up on Facebook. I posted one hour ago that anyone who is interested can contact me if they want to talk about social media and already one person has sent a message. 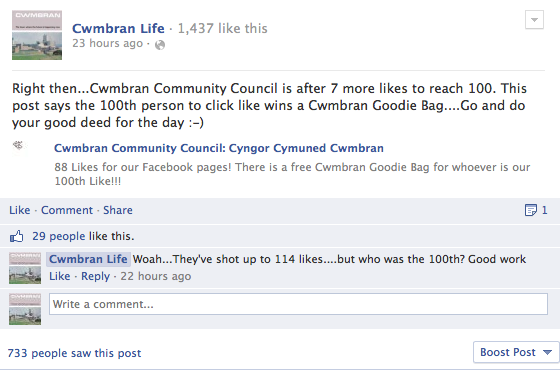 Cwmbran Community Council said on Facebook they were looking for ‘seven more likes to reach 100 and the 100th person would get a Cwmbran goodie bag’. 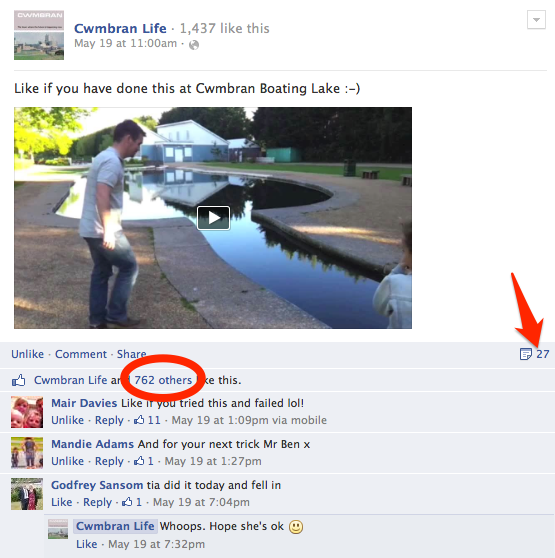 A quick share on the Cwmbran Life Facebook page saw them reach 100 in under five minutes. I love Cwmbran. I love Facebook. It’s a good mix. Do you use Facebook as part of your hyperlocal blog? Do you find it useful? This entry was posted in Uncategorized and tagged blog, blogging, facebook, hyperlocal, news, social media on June 12, 2013 by Ben Black. This isn’t a post with a well thought out start, middle and end. It’s just something that has bugged me since seeing this photo above yesterday. It was tweeted by Jake Wallis Simons and shows a Lego advert using a girl in 1981. My six-year-old daughter loves Lego but even she was put out when we looked up and spotted this sign in Morrisons in Cwmbran this afternoon. A ‘boys’ toy’ section in supermarket? I’ve shopped here before and looked at the toys but had not noticed this sign. Of course as a parent you spot the dolls and the footballs in a toy aisle but just let your kids choose what they want. A big sign hanging down off the ceiling telling shoppers ‘this is just for boys’ is a bit annoying. Advertisers will probably talk about targeting specific customers to maximise profit. My daughter said it was ‘really annoying’. As I pushed the trolley around the shop I told her the best thing she could do is spend her pocket money on Lego in another shop. She replied ‘nah. I still want to buy stuff’. So my attempt at getting her to protest with her money failed. She didn’t buy anything today by the way. I’ll see if the Lego section in WHSmiths can tempt her next time we are in town. I tweeted Morrisons the photo and this is the reply. 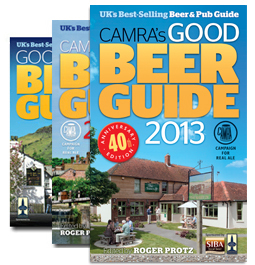 @benblack Hi Ben, all our signage is currently being updated, we do not mean to cause any offence! 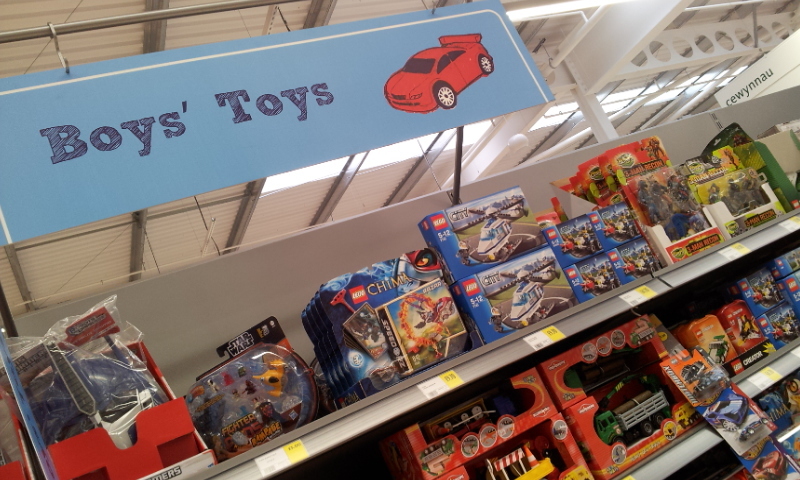 This entry was posted in Uncategorized and tagged boys, cwmbran, girls, lego, morrisons on March 28, 2013 by Ben Black. 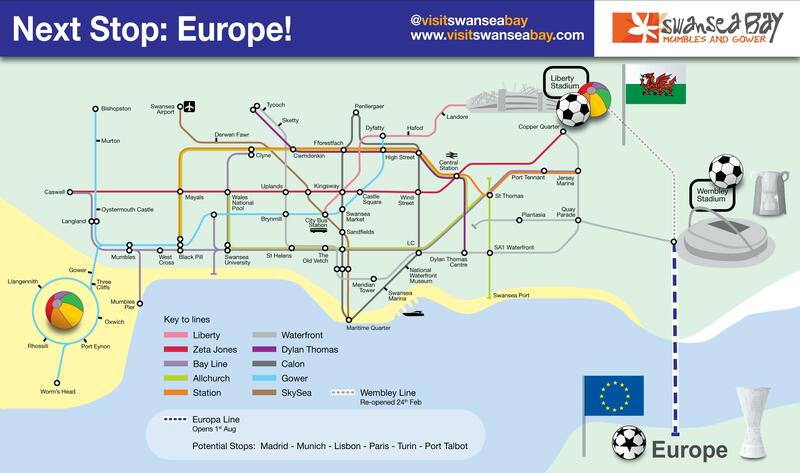 The best Swansea hat-trick scored since May 2011 for the local council was using PR, online media and outdoor media to put the spotlight on the area as a place to visit for football fans. At yesterday's CIPR Cymru's annual general meeting the guest speaker was Steve Hopkins, marketing services and tourism manager for the city and council of Swansea. He said that when the goal went during the 2010/11 play off final to take the team to the Premier League he did not know what happen. During a 20 minute chat he explained how focusing on tactics around the 'hat-trick' strategy had been used to show-off the best the area has to offer. Steve said some journalists had arrived at their hotel late on a Friday evening and opened their curtains in the morning to be blown away by being so close to the sea. The council worked with Working Word PR on the campaign. Infographics were part of the tactics and were shared and talked about online by national and regional journalists. 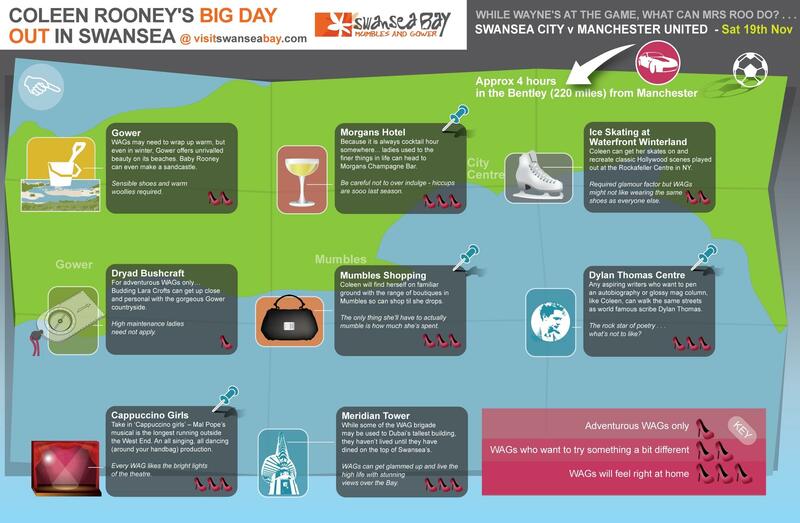 A number of brilliant infographics produced by Working Word and the council are on the Visit Swansea Bay website . Here are three of my favourites. Since May 2011 visits to the Visit Swansea Bay website have gone up 23%. The Visit Swansea Bay facebook page now has over 28,800 likes. The Visit Swansea Bay twitter page now has on twitter 3,800 follower. 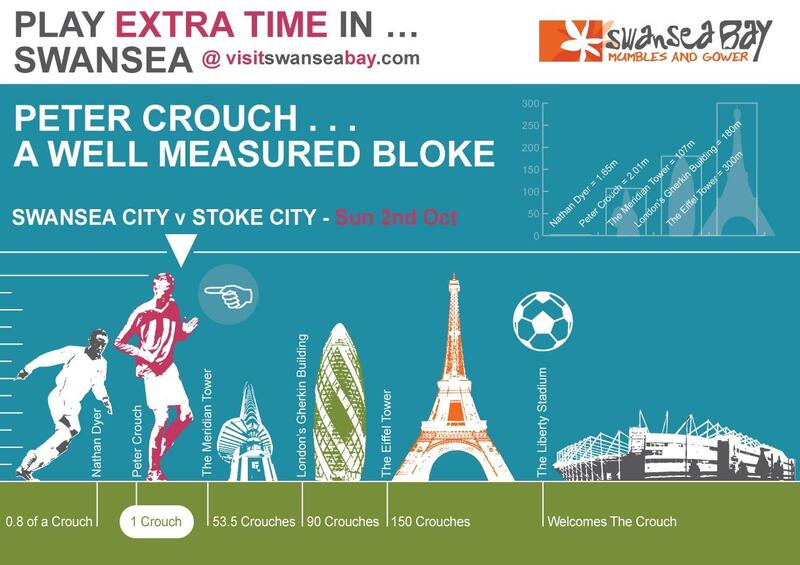 This entry was posted in Uncategorized and tagged CIPR, council, football, infographics, premier league, swansea, working word pr on March 1, 2013 by Ben Black. 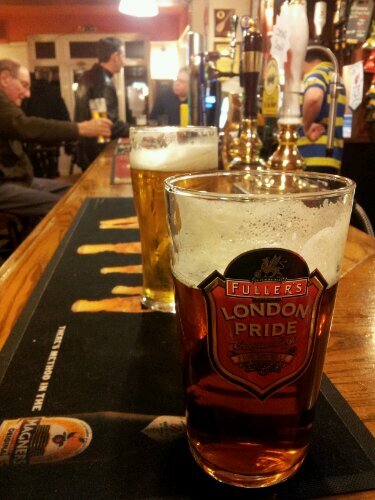 Councillor holds his monthly ward surgery in a pub. I like this. Does your local councillor hold a ward surgery where you can go along and chat? The chances are they do and I bet the chances are it is held in a community hall. I was in the Three Tuns pub in Gosport last night and spotted this poster. 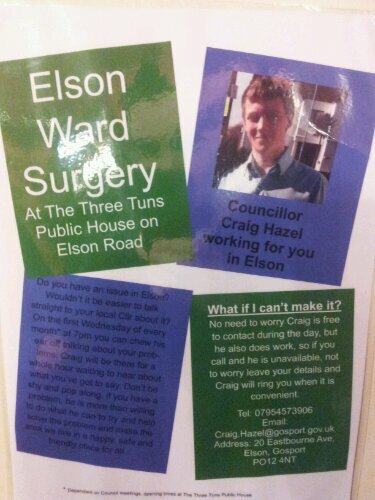 Councillor Craig Hazel, who represents the Elson Ward in Gosport, hold his ward surgery in the pub. On the first Wednesday of every month at 7pm you can chew his ear off talking about your problems. Why don’t you suggest to your local councillor that they do something similar? This entry was posted in Uncategorized and tagged Councillor, councillors, democracy, gosport, hampshire, surgeries, surgery, three tuns pub, ward, ward surgery on February 9, 2013 by Ben Black.